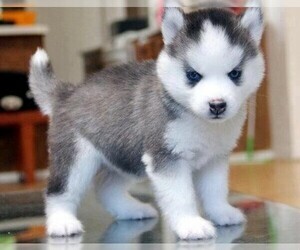 Overview: A Pomsky is a cross between a Pomeranian and a Siberian Husky. 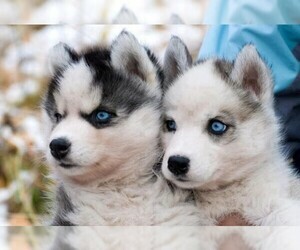 A crossing usually consists of a female Husky and a male Pomeranian. This is to avoid any complications that may occur if the smaller Pomeranian were to carry puppies sired by the much larger Siberian Husky male. Character: The Pomsky tends to be good natured and playful, gentle with kids and very lively. They are quick to learn and love to play, and tend to be quiet pups. 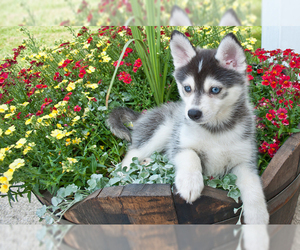 Temperament: The Pomsky’s temperament can be varied depending on each parent’s genetic contribution, but they are generally considered to be highly intelligent, loving and playful dogs. 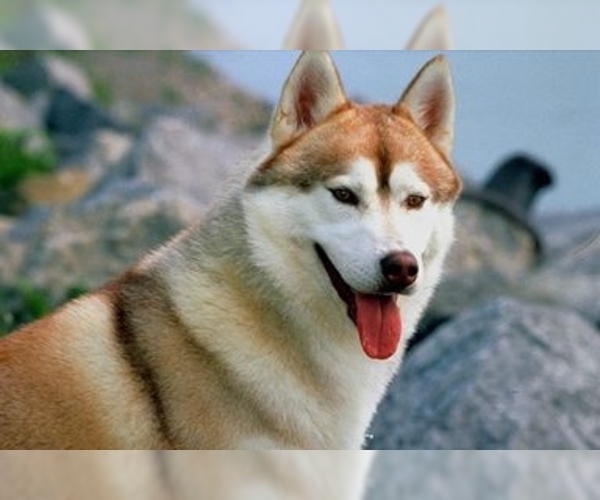 Training: Pomskies are highly intelligent and respond well to reward based training methods. However, they can sometimes inherit the Pomeranian’s stubbornness and should therefore be handled with calm and assertive leadership. 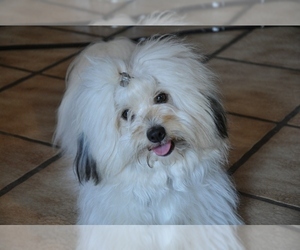 Failure to do so can result in “small dog syndrome” and other behavioral problems. Activity: Pomskies typically require a moderate activity level that can be adaptable to their owner’s lifestyle. 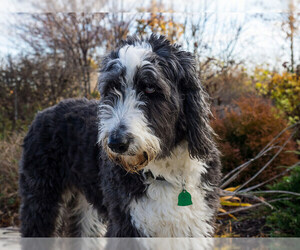 They need a short to moderate walk or active playtime each day, like any dog. 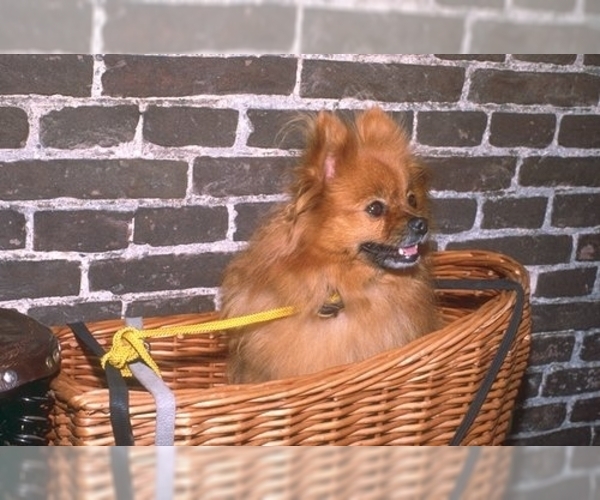 Health Issue: Pomeranians often suffer from dental issues resulting from a buildup of plaque. Pomskies too can suffer from similar dental conditions and should be taken for regular dental checkups.